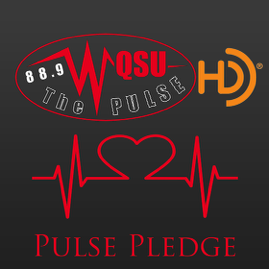 Would you like to make a monthly donation to WQSU? Be a WQSU Monthly Supporter! When you choose to be a WQSU monthly supporter you to are a vital part of the WQSU Family. We are a non-profit, non-commercial radio station serving Susquehanna University in its educational mission by training students in various forms of broadcasting principles and operations, and to serve as a media outlet for Susquehanna University. We count on the generosity of our friends to keep WQSU on the air every day. Your monthly support allows us to make a solid commitment to new and current programming and projects. Your support lets us continue to provide you with great music, news, local and national programming, and provide the students the resources for hands on experience as we mold them into the next generation of broadcasters! College radio is the starting place for students' broadcasting careers and it gives them communication skills and confidence to be successful in many career paths. We thank you for your monthly donation and supporting WQSU! As a monthly supporter - if you choose we will send you a Thank-you Gift"
Email our GM, Dawn Marie Benfer and specify the membership level you'd like to pledge. An invoice will be sent to you electronically through our processing partner, Square. Once you receive your invoice, you can opt to select manual payments each month or securely leave a card registered with your Square account for automatic monthly payments.